Imphal, September 24 2017: The attitude to help and support the downtrodden and poor people makes one a very rich human, for the wealthiest usually fails to provide the needy with their necessity, Education, Labour and Employment Minister Thokchom Radheshyam Singh has stated . 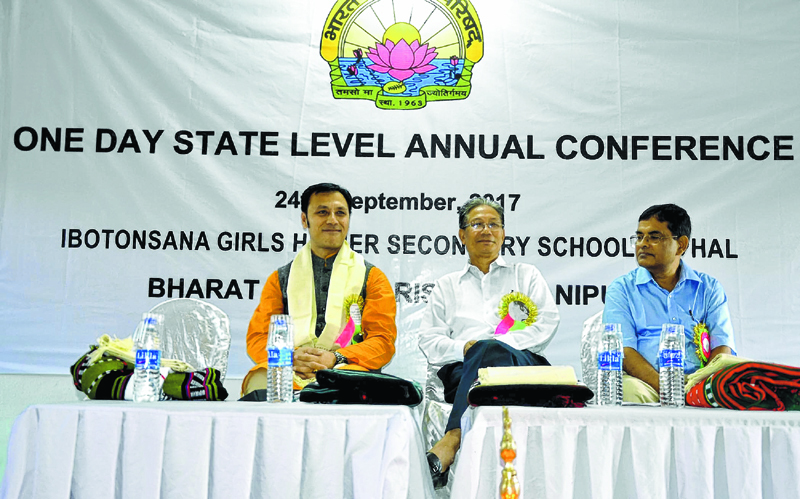 The Minister made the statement during the inaugural ceremony of the First State Level Annual Conference of Bharat Vikas Parishad, (BVP), Manipur held today at Ibotonsana Girls Higher Secondary School, organised by Bharat Vikas Parishad, (BVP) Manipur State . Speaking as chief guest, Minister Radheshyam stated that the world needs such people of great wisdom and honesty to act and bring a positive change towards the society . He asserted that Bharat Vikas Parishad since its formation has been extending all possible help and support to the people . He lauded BVP Manipur State for providing aid and assistance to the people in the time of natural calamities in the State . 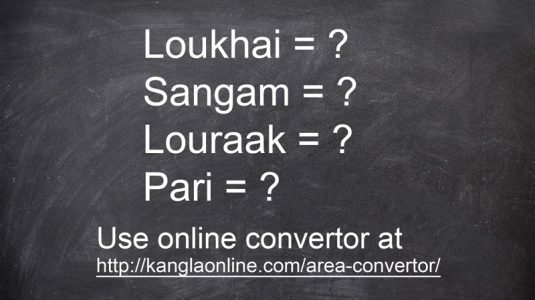 To enable to carry out such task connecting, contacting and communicating the people is very important, he added . The Minister maintained that the Government has a motto of ‘Sabka Saath Sabka Vikas’ in order to bring an inclusive growth to one and all by facilitating with equality towards development, upliftment and progress . He observed that progress of a country can be achieved only when everyone has the same equality and equity in every field of life . National Additional Secretary General North East BVP, Swadesh Ranjan Goswami who was present at the occasion stated that one of the main objectives of Bharat Vikas Parishad is to gather the elite, intellectuals and well-to-do citizens and motivate them to serve poor, disabled and illiterate people of the country towards development and growth in all the fields . During the function, induction of new members of BVP was held. A souvenir Sampark : Contact and Communication was released by the dignitaries . The ceremony was also attended by Regional Patron BVP, North East Dr Rajendra Singh, president BVP, Manipur B Biramangal Sharma and the members of the Parishad . The Paridshad was founded in the year 1963 by Lala Hans Raj and Dr Suraj Prakash motivated and guided by the ideals and teachings of Swami Vivekananda. Its vision is development and growth of India, Swasth- Samarth-Sanskarit Bharat.